Reduce, refine, replace is the new slogan coined by the government. So, what does it mean for poultry farmers? The government’s new plan for antimicrobials has been unveiled. The 20-year vision and five-year national action plan were launched by Health Secretary Matt Hancock at the World Economic Forum at Davos, the annual meeting of world leaders and businesspeople in the Swiss Alps. Despite the huge progress made, especially in the poultry sector, the new plans set out ambitious plans to further reduce, refine and replace antimicrobial use in animals. These include a commitment to reducing antibiotic use in food-producing animals by 25% between 2016 and 2020 through collaborative working with vets and farmers, and an emphasis on preventive measures such as optimising surveillance and the application of data, biosecurity, animal husbandry practices to reduce resistant infections. The plans cover the livestock sector and extend beyond, to cover aquaculture, companion animal and equine sectors. Hancock says he wants to encourage research and development with incentives such as a new payment system to incentivise pharmaceutical companies to develop new drugs and research to explore new ways of diagnosing, preventing and treating illnesses. 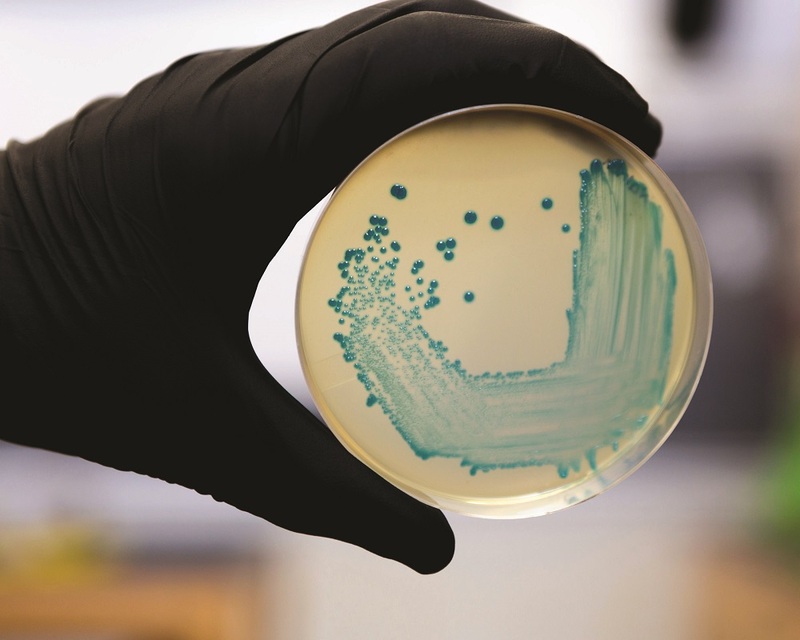 The industry has already made significant progress in reducing antimicrobial use of course. Late last year, a report, published by the Veterinary Medicines Directorate (VMD), showed sales of antibiotics for use in food-producing animals dropped by 18% between 2016 and 2017 to reach a low of 37 mg/kg. “UK vets and farmers are making every effort to prescribe and use antibiotics responsibly, which will help veterinary antibiotics to remain effective and available for use in the future,” says Dawn Howard, chief executive of the National Office of Animal Health (NOAH). The British poultry meat sector has made such huge progress, its regularly held up as an example to other sectors in the UK and around the world. It has reduced the use of antibiotics by 71% in the last four years, while production has increased by 11% to over a billion birds a year. With sales of antibiotics for all UK livestock at around 400 tonnes a year, British poultry meat farmers use only 23.72 tonnes (2016 figures). “Our farmers and veterinarians are leading the way in sustainable use of antibiotics,” says British Poultry Council chief executive Richard Griffiths. “We’ve stopped preventative routine use and reduced total use by 71% in the last four years. Nonetheless, there is clearly a need to preserve the drugs we currently have and try to avoid the potential catastrophe of widespread resistance among humans and animals. At present about 700,000 people a year die from drug-resistant infections. However, this global figure is growing relentlessly and could reach 10 million a year by 2050. “Antimicrobial resistance is a global problem,” says Michael Gove, Defra secretary of state. “It not only affects human health but threatens animal health and welfare and food security. Resistance occurs everywhere that bacteria are found: in people, in animals and in the environment. It is this part that is key for the poultry sector. Various initiatives to replace antimicrobials with alternatives have been successfully trialled by the poultry sector. In 2016, Faccenda started working with vet practice Applied Bacterial Control to take a completely different approach to managing the health of intensively reared poultry, resulting in a reduction in antibiotic usage by 70% through what ABC describes as “a holistic approach”. This started with giving newly arrived chicks a probiotic to encourage healthy gut development. It also recommended Faccenda analyse its water and add in natural acids to keep it as clean as possible, with a yeast extract going into the chicken feed to bind any ‘bad’ bacteria in the gut and reduce the risk of infection taking hold. It’s this kind of approach that is paying huge dividends throughout the poultry sector. And in the years to come, efforts will be redoubled to achieve even more. “A collaborative approach to AMR, underpinned by a commitment from each of us within the veterinary profession to maintain the highest standards of stewardship in using antimicrobials, especially Critically Important Antibiotics, is the only way we can preserve these essential medicines for both humans and animals in the future,” adds Doherty.